Our signature vehicle course that features low light shooting, team tactics, and singleton fighting techniques. Active shooters, coordinated gang members, and ISIL sympathizers continue to demonstrate the scale of violence that small, but capable adversaries can inflict. These high threat encounters demand crises responders that are both decisive and capable of adapting on-the-go. Combating complex attacks requires lethal force, but a poor understanding of tactics can result in unnecessary loss of life and political consequences. If a responder has not been properly trained to think under stress, he could make a decision that negatively impacts a community for generations. We build responders capable of embracing the complexity of a coordinated attack. 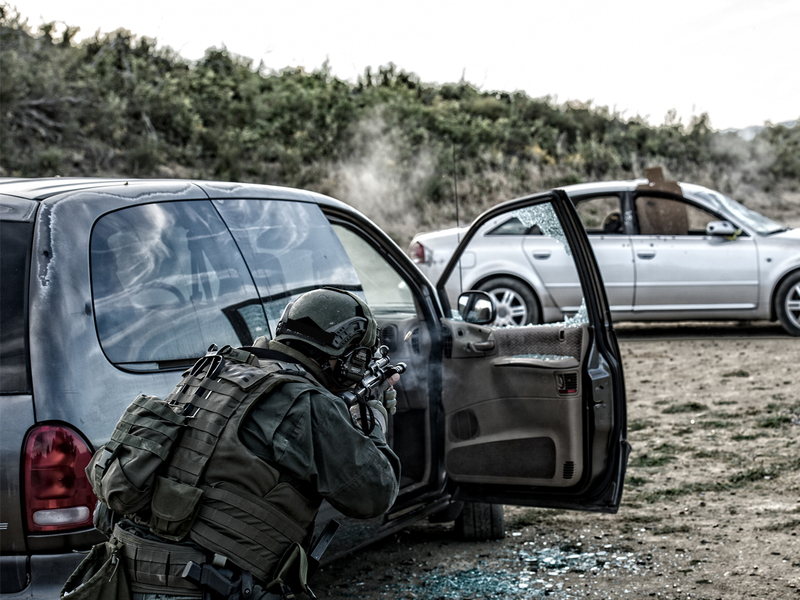 Utilizing lessons learned from Special Operations Forces in high threat environments, students are taught the doctrinal variables that create both advantages and consequences at the tactical level. Marksmanship emphasizes close quarter shooting techniques from the confined interior of a vehicle, violent encounters while dismounted, and the uncertainty of fighting in low light engagements.